You’re looking at what is arguably the most powerful, naturally aspirated single-overhead-cam Ferrari V12 running today. 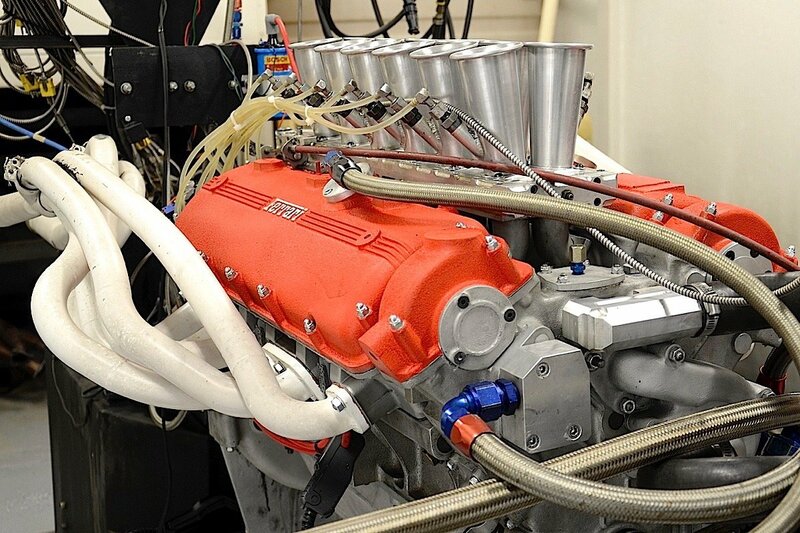 Built by southern California-based Carobu Engineering, this 5.0-liter race engine pulled 531 horsepower at 7,200 rpm on the dyno, with peak torque of 428 lb-ft coming in at 5,600 rpm. Last time this engine was dyno’d it didn’t break 500 horsepower. And that multi-angle valve job pretty much explains all the power increase with this latest engine freshening. The engine is based off a 4.4-liter V12 pulled from a 365 GT 2+2. The team, which races a vintage sports car, first had a 4.0-liter V12 from the same “Colombo” family before stepping up to a larger displacement with the new block and a 78mm stroker crankshaft. For this rebuild, Carobu upgraded to ductile-iron wet liners (82mm bore) in the aluminum block. 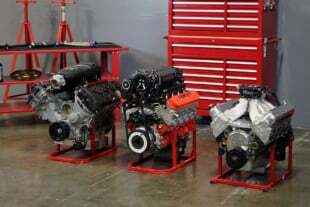 The engine features Carrillo rods and custom JE pistons (12:1 compression ratio). It’s also been converted to dry sump and has a custom cooling system. 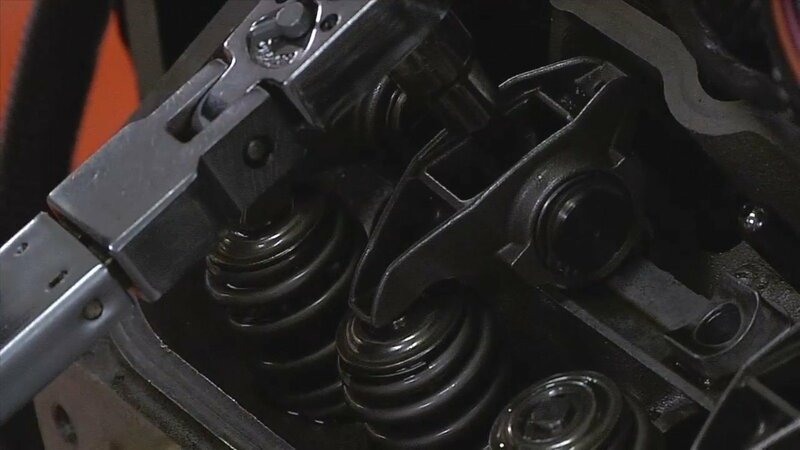 The camshaft specs are 261 degrees duration at .050 with a total lift of 11.3mm, or .445-inch. The intake manifold with slide valves was fabricated by the late Bob Wallace, a former Lamborghini engineer, and it’s fitted with a high-capacity Lucas mechanical fuel injection system. The distributor is from a BB512 Ferrari V12, and Carobu fabbed up the quad set of 3-into-1 headers to fit the chassis when the engine is installed in front of a Hewland gearbox. 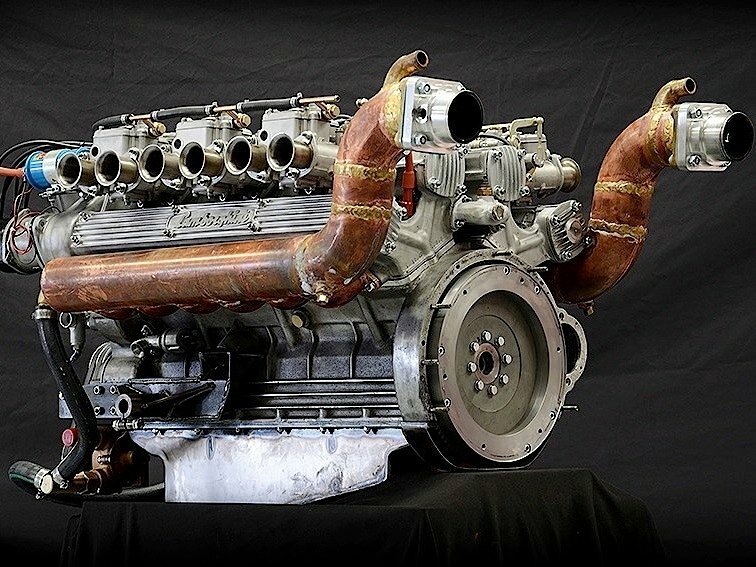 The car powered by this Ferrari engine has connections to a 312P Berlinetta that crashed at Le Mans in 1969. It later ran as part of the N.A.R.T. Ferrari effort in Can Am as well as Daytona and Sebring. At some point it was converted to a Spyder. 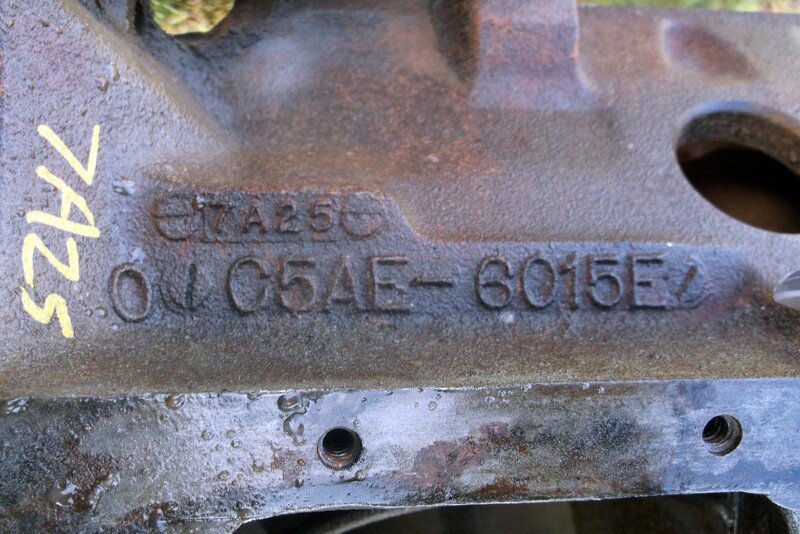 Some parts and the serial number were retained as the car was rebuilt over the years to its current configuration. For more information on Carobu, check out these EngineLabs reports on a vintage Ferrari Formula 1 flat-12 engine and a Lamborghini Espada V12 that was restored for a Riva Aquarama speedboat.